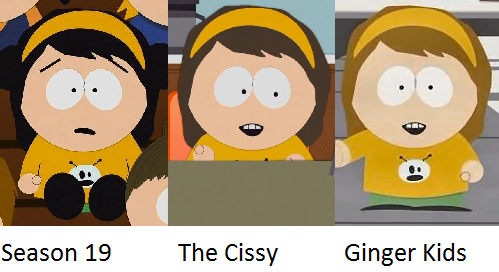 During Tweek and Craig's break-up scene, I've noticed something strange. Leslie has got black hairs, right? So, why in that scene, she's having blond hairs? Is it her sister? Or what? This whole scene, she was blond haired. There's a scene with hers blond hairs. Do you people think that's a mistake, or, maybe not? 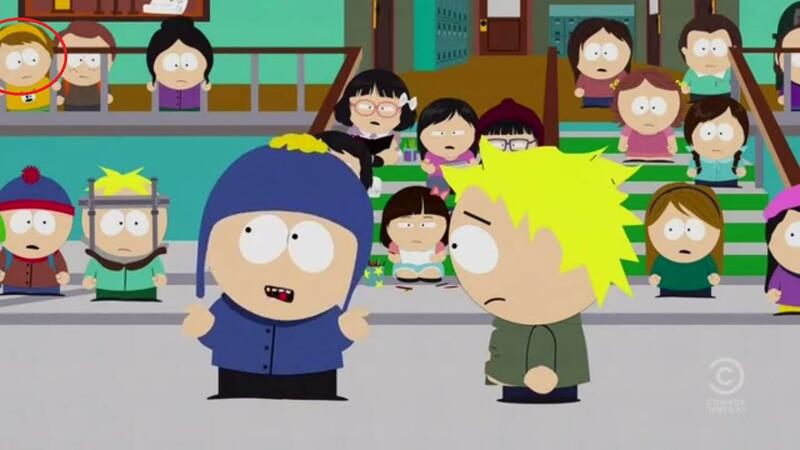 Re: Mistake in Tweek x Craig? Leslie's different hair? There's a mistake, but that's not it. 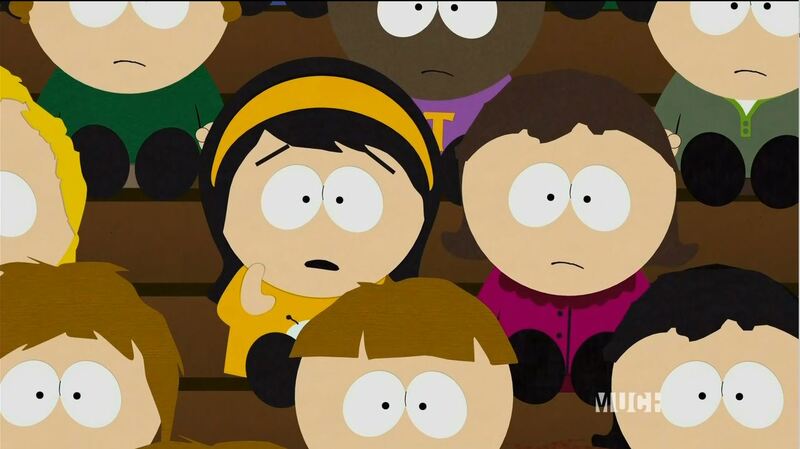 The blonder-haired girl is another background character introduced ten years ago most notable as one of the geologist Carol's daughters in "The Cissy" last year. JVM wrote: There's a mistake, but that's not it. 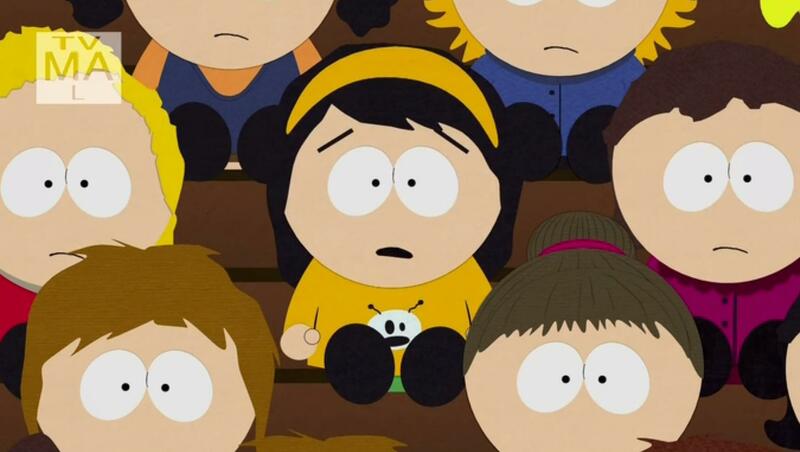 The blonder-haired girl is another background character introduced ten years ago most notable as one of the geologist Carol's daughters in "The Cissy" last year. But she's wearing exact same clothes. The only difference is hair colour. Yes. There's at least one more girl with the same hairstyle and clothes, but with light brown hair. The one from "Ginger Kids" can be seen in "Grounded Vindaloop" as well. Aaand, as noted aboe, in "Tweek x Craig." This is how it look in "Where My Country Gone? ", "Safe Space" and "Naughty Ninjas"
It's not a mistake: ads change their appearance according to the target.